Cassava (Manihot esculenta), a major staple food in the developing world provides a starch-based carbohydrate diet for over half-a-billion people living in the tropics. Despite the plant’s resistance to most local insect pests and bacterial pathogens, cassava is susceptible to root rot caused by Fusarium solani. 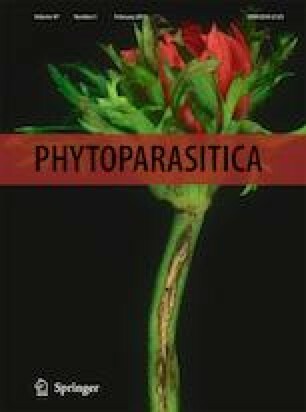 With the recent identification that the beneficial soil bacterium Bacillus amyloliquefaciens (GB03) increases iron accumulation in cassava, the question arises as to whether plant growth-promoting rhizobacteria (PGPR) also induces plant resistance to fungal infection and in turn, ameliorate cassava disease symptoms. Phytopathological analyses reveal that shoot-propagated cassava, inoculated with Bacillus amyloliquefaciens (GB03) or Microbacterium imperiale (MAIIF2a) induces increased shoot and root growth by over 100% compared to un-inoculated controls. Moreover, PGPR inoculation lowered disease incidence in greenhouse-grown plants by over half compared to media treated controls and reduced mycelial growth and fungal colonization with in vitro cassava-plant assays. These results demonstrate the integrated role beneficial bacteria play to increase plant growth and protect against pathogen infection in a starch crop that is cultivated on a global scale. Funding was generously provided by The Brazilian National Council for Scientific and Technological Development (CNPq Process 401330/2014-1). Spaepen, S., & Vanderleyden, J. (2010). Auxin and plant-microbe interactions. Cold Spring Harbor Perspectives in Biology, 3. https://doi.org/10.1101/cshperspect.a001438. Vacheron, J., Desbrosses, G., Bouffaud, M. L., Touraine, B., Moënne-Loccoz, Y., Muller, D., Legendre, L., Wisniewski-Dyé, F., & Prigent-Combaret, C. (2013). Plant growth-promoting rhizobacteria and root system functioning. Plant Science, 4. https://doi.org/10.3389/fpls.2013.00356.